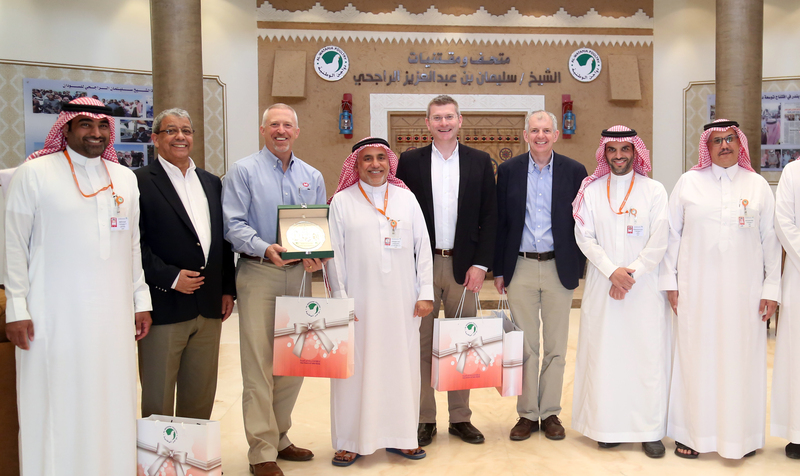 Al-Watania Poultry Company, one of the leading poultry producers in the Middle East, recently signed a distributor agreement with Cobb Europe for the territories of Saudi Arabia and a number of surrounding Gulf Cooperation Council (GCC) member countries. Al-Watania Poultry has worked closely with Cobb Europe for more than two decades in Saudi Arabia. Since acquiring the Cobb Egypt operations more than a decade ago, Al-Watania Poultry (Egypt) has been the Cobb distributor and a market leader in Egypt. Chairman Shaikh Sulaiman Al-Rajhi, a visionary in his own right, established Al-Watania Poultry in 1977 with a vision to contribute towards the nutritional reserves of the Kingdom of Saudi Arabia. In recent years, Al-Watania Poultry, under the leadership of his son, Dr. Mohammed Al-Rajhi (CEO), took initiative to expand Al-Watania Poultry operations to reach greater heights. Currently the company processes more than 860,000 broilers/day. New state-of-the-art automated hatcheries, feed mills, and processing lines have started operation. Further expansion will take the daily production to one-million broilers by 2020. This is aimed at supporting the Kingdom’s initiative to reduce dependency on chicken meat imports and increase by 20 percent local chicken meat production by 2020. Al-Watania has plans to double output of parent stock chicks to four million birds a year by 2020, through expanding its hatchery and grandparent operations in Al Jouf. It is also investing in a fleet of transporters fitted with the latest on-board environment controls with each truck capable of holding up to 60,000 chicks for delivering to parent stock customers as far as 2,000 kilometres away. The Al-Watania decision to further enhance its relationship with Cobb is influenced by the breed’s low cost of production of chicken meat. Al-Watania has benefited from the wide-ranging technical support teams that Cobb provides to advise on all aspects of production through its world-leading poultry experts. Currently, Al-Watania Poultry is seeing their best ever Cobb broiler performances. Al-Watania Poultry has also taken the lead in training young Saudi aspirants in the field of poultry technology. This, too, is a joint program with Cobb Europe in training and developing the next generation of poultry professionals for the Kingdom’s poultry industry.